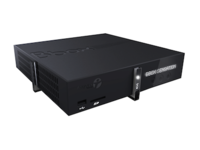 This week that Bouygues Telecom has introduced its new ADSL box, the BBox Sensation. Supposed to compete with the Freebox Revolution, Evolution and other Neufbox Numericable Box, this box will make a number of new features, like an online game service. Available from June 18 for new subscribers, and around mid-July for existing customers Bouygues, for a single price of 37.90 euros per month. For this price, subscribers will have access to include unlimited calls to fixed and mobile, HD TV and a bouquet. But it is above the level of services that Bouygues wants to surprise. Besides a new interface, or a VoD service and TV on demand on which the operator has emphasized, this is an online gaming service which is proving a real novelty in this case. There are games available through the box, but stored on remote servers and "streamed". Bouygues made ​​a point of honor to offer games that can be found in trade for the current consoles: Sonic Generations, Street Fighter IV, Dirt 3 or Batman Arcade Asylum. This service is available from 4.90 euros per month, and may be used with the USB stick supplied with the housing.